and am sure working on that because its never too late to change and be that good girl mum have always wanted me to be. Its been a little quiet here and that's due to the unstable internet network caused by this unending rain here in the heart of southern Nigeria, can't wait for this season to be over am kinda getting uneasy with it. I have a lot planned out for this month and am sure you've already inferred from the title. Am going to be having the AUGUST SEW #4 CHALLENGE and this simply means i must sew at least four attires this month and surely how it will be cut and put together will be documented here in the blog and not just that you , my sweetie will have to participate by sewing along too. I will be unveiling the fabrics for this challenge on instagram and you can follow me HERE. 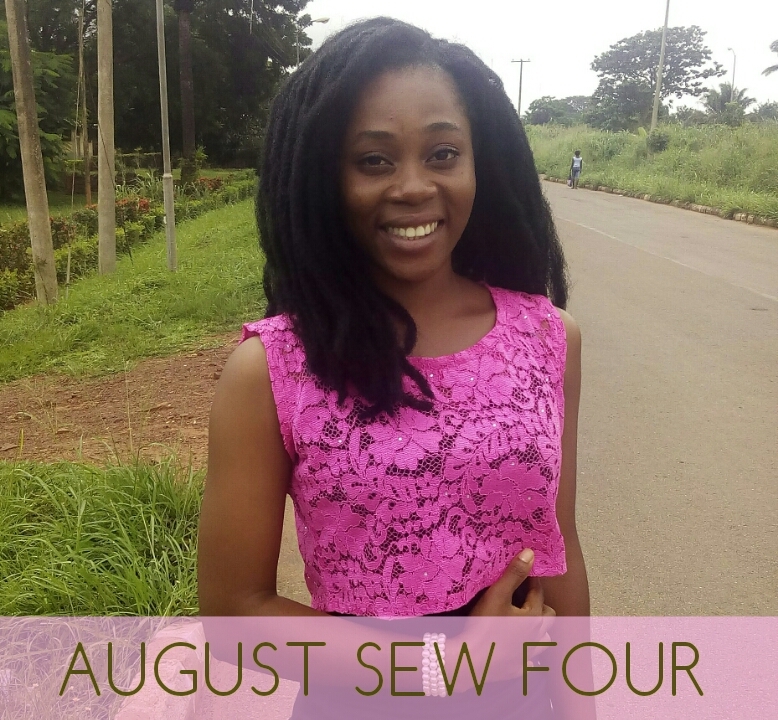 Am really looking forward to sewing a lot this month even more than for four piece because my wardrobe is kinda scanty. What this also means is that a lot of post will be coming up on the blog and we also will be doing a lot of sewing too. One more thing... you need fabrics to participate so hurry now and get yours! See you on Instagram for my FABRIC REVEAL!! !